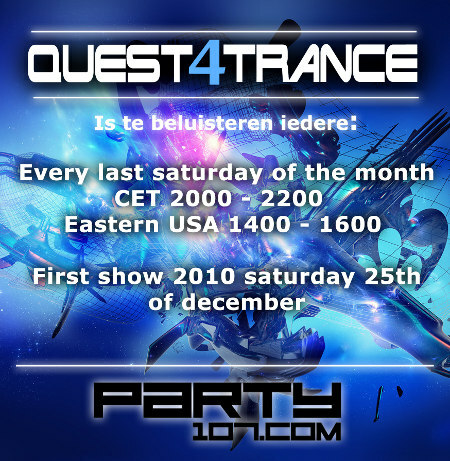 Party107 welcomes a brand new monthly show from Dutch trance organization Quest4Trance to the netwaves. On the last Saturday of every month, host El Haag and a guest from the global trance scene will bring you two hours of the hottest tracks in trance music. Catch the debut episode this Christmas day with guest Ferry Tayle at 2:00 PM Eastern / 11:00 AM Pacific / 20:00 CET / 7:00 PM UK!